The Carlisle Taboo Stand Up Paddle lets you paddle your stand up board, but easily converts to a kayak paddle too. This versatile two-in-one paddle includes two T-grip handles which let you adjust the length based on your height. It also features a second blade which allows you to easily convert the stand up paddle into a 230 cm kayak paddle. Stand up or sit down and paddle, the Taboo SUP paddle helps you do both. I bought the liquid logic versa board and this paddle to go with it. Love the convertible option to go from kayaking to SUP. I am a beginner paddler, but this works great for me. LOVE IT!! Can meander down the river on my SUP, and then quickly get ready for white water!! Simply too heavy. I bought a lightweight wooden Greenland Paddle that works very well as a stand up paddle and kayak paddle. Good paddle, but I did have to drill out the holes before the connections would snap together this problem was mentioned in another review. LOVE this paddle! So versatile and perfect for our paddle boarding and kayaking needs. I would highly recommend it. Great for a paddle of this price. I mlost one part in the water and it does float! Its seems a bit heavier than other paddle in that price range. But very versatile. Easy to change from kayak to SUP. Very happy with it ! We have very old wind-surf boards 220+ liters. I tried one of these paddles with the old one design boards, and had so much fun I ordered two more paddles from ACK so I wouldnt have to fight with the grand- kids. ACK shipped them right to NE in 2 or 3 days. Check out the close-outs for other gear before you hit the send button. Excellent paddle. I use it with my stand up paddle board/hybrid kayak. Works great either way. ACK shipped it right away! This works awesome with my Versa Board. I had to drill out the hole for the locking mechanism right out of the box, it wouldnt line up. Not a big deal. Its in my truck right now, ready for a fun afternoon! Agree with positive reviews. Excellent crossover paddle for SUP/SOT. While not light - it is not heavy and the two SUP handles are helpful. Do buy drip rings for SOT use. Great value! Like others, I got this for my Versa board SUP/SOT. It is an inexpensive solution to buying two dedicated paddles and it works reasonably well. I do wish that the connection was a little more firm, when I have the paddle end installed it wiggles in place a bit. Also FYI, it does not come with drip rings, so you will have to buy them separately if you don't want wet arms while in SOT mode. This is a good basic two in on paddle. Obviously sole function stand up paddles will have a helpful angle, but this is working well in getting me started on stand you kayaking, as well as when I bail out and need to sit/double paddle. Very happy. Got the paddle to use with my SUP which also can be paddled as a kayak. This is a great solution by having one paddle that can be used for both. Other reviewers call it heavy - I call it sturdy. I'm normally not a fan of flat blade paddles but the versatility of the paddle overcomes this drawback. And the 2 interchangeable handles definitely solve the problem of paddle size when one paddler is over 6' tall and the others are under 6' tall. For stand up paddling, I guess this is o.k. Stand up paddling is not my thing. I hate switching back and forth to paddle(which is why I hope to never canoe again).The paddle does do what it says it will do and for that I would give it five stars, but it is quite heavy. My wife likes it, but I know if she had a carbon fiber one she would never use it again. If you were to use it once in awhile...buy it. If you plan on going all the time, save your money and go carbon. The paddle is a good purchase. Love being able to interchange from SUP paddle to kayak paddle. Also like that the SUP paddle has two lengths as I'm much shorter than my husband :-) . Not a kayak paddle I'd use regularly, but convenience counts, too. ACK was very prompt with the shipment. Great, versatile paddle for goofing around. Lots of fun. Pieces fit snug and feel sturdy. This paddle is great. Not especially light, but it makes up for the weight in strength. It can really put up with aggressive paddling. It initially shipped without the shorter handle attachment, however ACK was quick to ship out the missing attachment. I'm very happy with the paddle and ACK. The Carlisle Taboo Stand Up Paddle provides us with the versatility we were looking for. We love being able to easily change from stand up paddling to kayaking, and back again, whenever we want to. This is a well-constructed paddle and we love ours. This paddle was everything we hoped it would be. Initial purchased use was SUP, but also used the kayak blade on our first weekend! Light enough for the kids, sturdy enough for the adults and a great price! Great paddle for someone who wants to both stand and sit. Perfect choice to pair with my Ocean Kayak Nalu. Paddle is great... just don't loose any parts because carslie does not replace or sell replacement parts! I love how I can use this paddle for my kayaks and my sup! Great for kayaking or paddle boarding. Easy to transition between the two options in open water also. I would recommend this to a friend! I bought this Carlisle Taboo Stand Up Paddle to use in my stand-up fishing kayak. Works great for poling. Its a little on the heavy side for long time paddling. Made solid. A: HI, Thank you for the question. This is going to be one of our best options for our SUP users. They are one of top selling paddles used for SUP paddlers as well. 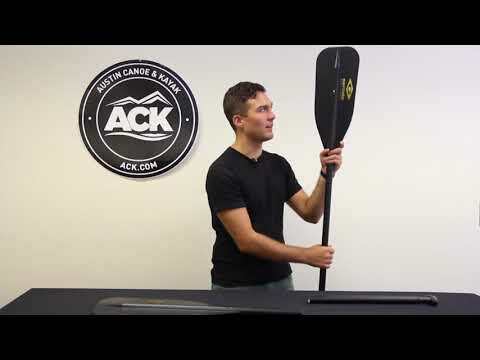 This will be a great option for you especially if you are going to be doing mostly recreational paddling.